There are times when we like to act like tourists in our own town and go to places that locals tend to ignore. Sunday was one of those times. We had brunch in downtown Nashville and walked a few blocks to the Johnny Cash Museum. 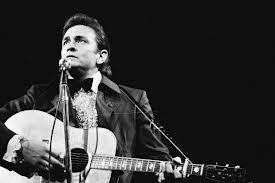 I never saw Johnny Cash perform, and that is one of my regrets. However, I had a brief encounter with him at a bookstore. Honestly, I thought that would have been mentioned somewhere in the museum, but, for some reason, they left that out. The museum offered glimpses into many phases of his life. Throughout the tour, samples of his music play overhead. Also, there are listening stations that represent different musical times in his life. It is a great chance to hear how his music, message and voice changed through the decades.